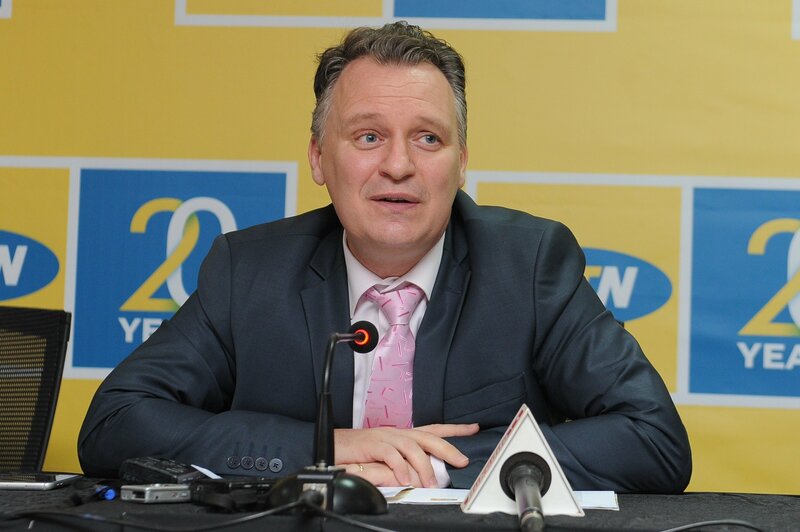 KAMPALA – The state attorney Mr. Kodoli Wanyama, has Thursday, April 11, told court that the minister of Internal Affairs acted in accordance to the law and powers vested in him when he deported the MTN Chief Executive Officer Wim Vanhelleputte. Mr. Wanyama told court that the Immigration Act of Parliament gives the minister full powers to deport anyone and in case they are aggrieved with his decision there is an option of appealing against the same. However, in his last appearance in court, Mr. Wanyama had told court that they were still looking for information in relevant departments and authorities to respond to the application of Mr. Vanhelleputte. Justice Henrietta Wolayo has fixed May 10 for Mr. Vanhelleputte to file written submission of his case in court, Attorney General on June 10, rejoinder June 17 and the ruling will be on notice. Last month, Mr. Vanhelleputte dragged the Attorney General to court, challenging his deportation as being irrational and illegal. In the lawsuit filed before the High Court Civil Division, Mr. Vanhellepute is seeking orders to quash his deportation following an order issued by the Internal Affairs minister Gen. Jeje Odongo on February 14, 2019. Mr. Vanhelleputte says that he was in charge of the overall operations and overseeing MTN company affairs in Uganda and ensuring proper management and functioning of the company. “I have been a regular visitor to Uganda since 1993 until when I got married and also settled in Uganda where I and the family have been living at Lubowa, Makindye Ssabagabo, Wakiso district until my deportation from Uganda to Belgium,” he says in his affidavit. Mr. Vanhelleputte says that he has been CEO of MTN and other telecommunication companies since October 2001 in various countries like Ivory Coast, Senegal and Gabon amongst others and over the years while working abroad, he been visiting his family in Uganda every month. According to Mr. Vanhellepute, the deportation order labelled him as an undesirous and prohibited immigrant yet he has been a law-abiding citizen and has no trace of a criminal record for the 25 years he has lived in Uganda. Court documents indicate that Mr. Vanhelleputte on January 29, 2019, was summoned by the Special Investigations Unit at Kireka and accused of communicating to the deported MTN staff, to which he was also asked to record a statement. He says he was then ordered to report back at SIU on February 14, 2019, but despite explanations to police that he needed to communicate to the deported staff because they had not yet officially handed over office, he was simply detained, driven to Entebbe Airport, handed over to aviation security and at 11. 59 pm, was deported through an SN Brussels Flight. Mr. Vanhellepute claims he was neither given an opportunity to explain himself to minister Odongo before signing the Order that declared him unwanted in Uganda nor communicates to his Ugandan wife; Barbra Adoso and the two children. He contends further that court should intervene and recall his unlawful deportation because he had a valid work permit and a running Visa which was due to expire in May this year. Through his lawyers of Birungi and Company Advocates, he is also demanding for damages from government for violating his rights to a fair hearing, just treatment and illegal detention.